When their mother dies, Thembi (Mhkabase) and Khwezi (Malinga) are at first looked after by their aunt Juba (Nodangala). But when it transpires that she’s only there to take what she can from their mother’s belongings, and a particular mat that their mother made is missing, their aunt soon leaves. With no money or food to get by with, and with no other family to turn to, Thembi – who has kept her mother’s mat hidden – and Khwezi decide to travel from their village to the city to sell the mat to the priest who bought others in the past. Despite not knowing where he lives, or where his church is located, the siblings set out on foot, eventually hitching a ride on a train that takes them into the city. After wandering around for a while, they meet a young boy called Chili-Bite (Mohlomi) who is part of a gang of children living on the streets. He takes them under his wing and gives them a place of stay. Thembi tells him about the priest, and Chili-Bite assures her that he’ll help find him. When they see him talking to a white man, Tony (Gritten), Chili-Bite tells Thembi and Khwezi that this man knows the priest and will take them to him the next day. When the time comes, the man takes Thembi and Khwezi to the home of a black man who is looking for a child bride. When he tries to confirm her virginity, she fights him off with Khwezi’s help and they manage to escape. Realising that Chili-Bite knew what was meant to happen, she confronts him before leaving. But she doesn’t go far and the next day Chili-Bite reveals he can take her and Khwezi to the priest – but when he tries he can’t find the church. Thembi challenges him but he walks off. When she then tells Khwezi they need to return to their village, he refuses to go with her and blames their mother’s mat for all the trouble they’ve been through. Khwezi follows Chili-Bite while Thembi assumes he’s behind her. When she realises he isn’t she stops in the street until two nuns pass by. She follows them to a church and there finds the priest. He remembers her mother and is keen to see the mat. But when she returns to Chili-Bite’s hideout she finds that Khwezi has done something that will test their relationship – and both their futures. A movie that has the feel of a modern-day Dickens novel, Izulu lamí is a charming look at the perils of big city life as seen through the eyes of two innocents abroad. 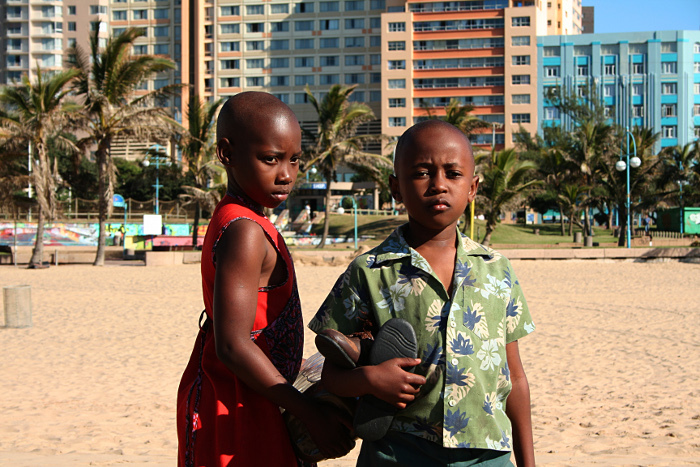 With its trio of first-time performances – and in Mhkabase and Malinga’s case their only performances – Ncayiyana’s ode to childhood hope and perseverance is an uneven yet enjoyable movie that occasionally tries to punch above its weight, but is all the more admirable for trying. Though juxtaposing the quieter, simpler village life Thembi and Khwezi are used to, with the noise and bustle of the city of Durban, Ncayiyana maintains a measured approach to his and co-producer Julie Frederikse’s script that, ultimately, drains the movie of any tension or drama. Even when Khwezi’s actions threaten his relationship with Thembi, it’s portrayed with such objectivity that he could have done something far less terrible, and her reaction would have been the same – and so would have the framing, camerawork and direction. It’s indicative of the movie’s main problem throughout: the less than involved presence of its director. From this, the casual viewer may well be put off from seeing the movie through to the end, believing that they’ve seen all they need to by the halfway mark (or possibly sooner, once they arrive in Durban in fact). For the early scenes before Thembi and Khwezi get on the train are more interesting than what follows. The brief scenes of mock parental persecution by Aunt Juba, though expected, are well played by Nodangala and the two children, and have that grim inevitably that is familiar in these situations. But while the movie looks as if it’s going to be a battle of wills between the aunt and her niece and nephew, the script has them heading off to find their future in the big city instead, and while this is handled with a fair degree of persuasiveness, it’s the nature of what happens to them that brings things to a dramatic standstill on too many occasions. While it’s clear that Chili-Bite is “interested” in Thembi, his decision to put her in harm’s way via Tony is at odds with the character’s innate humanity (yes, he’s a street urchin, and yes he’s out to get whatever he can, but the script makes Chili-Bite too likeable for him to be a bad guy; plus he has too much of the Artful Dodger about him). And the tone, quite light-hearted and occasionally whimsical for the most part, is shredded by the attack on Thembi by the man Tony takes her to. It’s a dark, moderately uncomfortable sequence that doesn’t fit with the rest of the script, and seems included because otherwise there would be very little dramatic incident in the movie at all. And the ending, though expectedly upbeat, leaves the trio of Thembi, Khwezi, and Chili-Bite exactly as they were when they met. For a movie that shows two young children on a (not quite so) dangerous journey, there’s no arc for them to follow as individuals. Thankfully, Mhkabase and Malinga prove enchanting to watch, even if they do stumble over the occasional line of dialogue, and their fresh, natural performances give the movie a much needed boost to offset the paucity of ideas that permeates throughout the rest of the movie. Mhkabase is so assured it’s a shame she hasn’t made any more movies, while Malinga has the best pout of any child actor in recent memory. They’re also credible as brother and sister, their arguments with each other brought to life effortlessly and with conviction. When they share a scene together it’s often hard to decide which one to watch more closely. As the conniving Chili-Bite, Mohlomi is the more relaxed and he gives an appropriately brash performance, and just this side of broad caricature (watch him as he walks along with his gang). Together, all three evince a mutual respect and reliance for each other that is both touching and heartfelt. 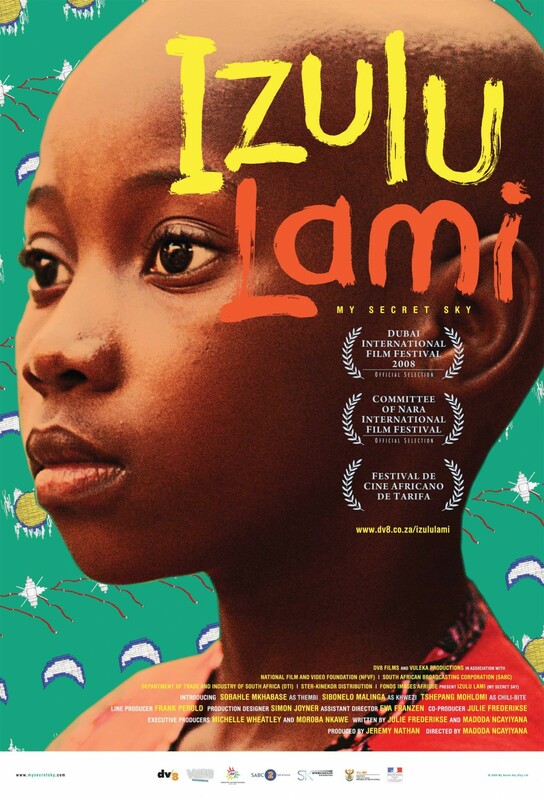 Rating: 5/10 – overall a disappointing viewing experience, and with too many coincidences driving the narrative forward, Izulu lamí lacks a strong enough storyline to be entirely effective; with good performances allied to some poetic imagery and a degree of spirituality attached to the children’s quest, there’s still enough to warrant a more than cursory look.